North American Bigfoot: Bigfoot in Santa Cruz? You Betcha! Bigfoot in Santa Cruz? You Betcha! 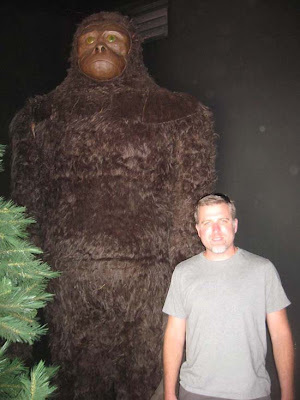 The Bigfoot Discovery Museum in Felton, CA has received some press coverage lately. An article (reprinted below) on KION News has been published, and there is also a short video featuring Mikke Rugg, the owner/operator of the museum, speaking about his perspective on some local sightings. Remember, there is a Bigfoot BBQ this Sunday at Mike's Museum. It would be a very good use of your Sunday to attend. If you do, hug Mike and his life-sized bigfoot models for me. Big Foot In Santa Cruz Mountains? FELTON, Calif.,- Deep in the heart of the Santa Cruz Mountains exists a place where a legend lives. In parts of the world it is known as the Yeti, in others it's Sasquatch, but just about everyone at some point or another has heard of Big Foot. The question is, does Big Foot really exist in the Santa Cruz Mountains? Perhaps one location that you can find the answers is the Big Foot Discovery Project Museum located in Felton. Operator Michael Rugg has devoted the past 50 years in researching the elusive creature. After having experienced a sighting as a child he says they can and do exist. "We've had about four dozen reports come in, and I'm quite confident that some of those are bogus. Some people are seeing black bears and mistaking them for big foot, some people are not seeing anything at all, it's there imagination getting carried away, and we've even had a few hoaxes pop up. To me that means we have a genuine subset of the big foot phenomenon right here in Santa Cruz," says Rugg. When asked what he thinks of people who do not believe there is anything strange living the Santa Cruz Mountains, he says: "I say to people, try to put yourself in my shoes. You see something, it registers in your brain with your two eyes, and it says there is a large bi-pedal primate walking through the woods." If it was so lame youwouldn't have bothered to read the entire article or leave your oh so clever comment. And, isn't it interesting (i.e. incredibly SUSPICIOUS) you took the time to meticulously capitalize the first letter of each word you typed. At least this guy is doing something cool with his life. One Half of the entire state of Oregon is Federal Land (that's right, you heard me right -- HALF OF THE ENTIRE STATE OF OREGON). and in Olympic National Park in WASHINGTON STATE there's hundreds of thousands of acres of mountains, coast AND..wait for it..wait for it..a vast unexplored TEMPERATE RAINFOREST. Think about it. 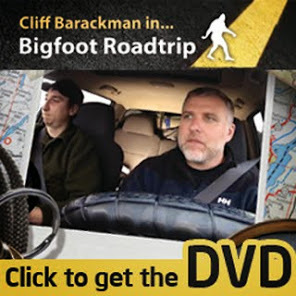 Respect the Squatch Cliff :) keep up your good work -- the world is watching!! !